For those of you who are currently asking yourself “what every happened to that weird guy from the Police Academy movies?”, you’re missing out on quite a bit. Over the past few years, Bobcat Goldthwait has been taking the world of indie dark comedy by storm. 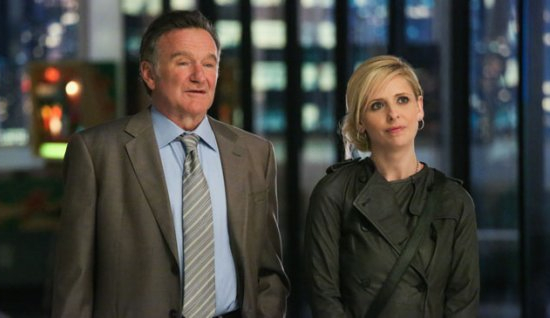 Back in 2009, he wrote and directed the ultra dark comedy World’s Greatest Dad starring Robin Williams which opened the indie audience up to his “unique” style of storytelling. Now, Bobcat is doing it again with Joel Murray in God Bless America. Here’s the synopsis for you to whet your beak. Basically, think of James Gunn’s Super meets Falling Down with a middle-American twist. Take a look at the über violent trailer after the jump, and catch the flick on VOD April 6 and theaters on May 11. For those who immediately tuned out the news about the 2012 Academy Awards after they heard that “retired” host Billy Crystal would be dusting off his tuxedo to get back up on stage, they had no idea what extents the Academy would go to in order to make you think that this isn’t your mom and dad’s Oscar show. That’s why they pulled out the stops and collaborated with Funny or Die to put together this epic movie-style trailer featuring the likes of Billy Crystal, Robin Williams, Josh Duhamel, Megan Fox, William Fichtner and Vinnie Jones. That’s right. Some pretty big star power. And if that isn’t enough for you to get into the Oscar mood, the team has also put together a pretty extensive YouTube channel, with some of the best monologues, acceptance speeches, and overall best moments. Take a look at the epic trailer after the jump and be sure to tune in to what should be an entertaining Oscars on February 26th, only on ABC. This week sees the release of several new movies and TV shows, some for the first time ever on Blu-ray. Of the ones coming out this week, we’re excited for not as many as last week. But still, the release of An Education, Collateral and Sherlock Holmes (pictured above with Robert Downey, Jr and Jude Law) is reason enough to be excited. Plus, there’s always next week. . . and the week after that.